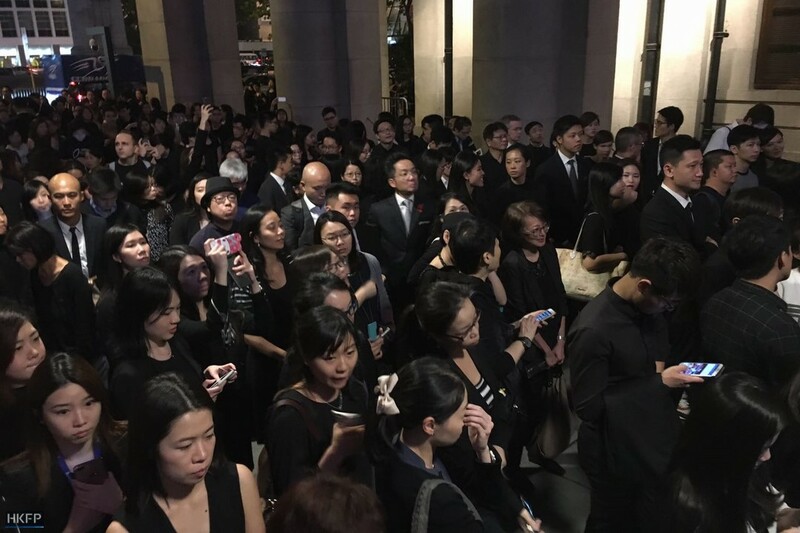 Hundreds of lawyers and law students, all dressed in black, marched silently through Hong Kong Tuesday in protest at a ruling by China which effectively bars two pro-independence legislators from taking office. 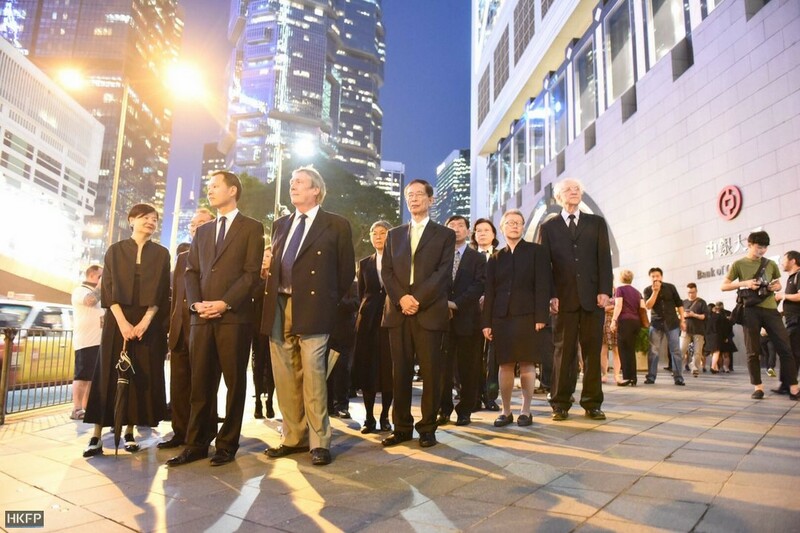 They snaked peacefully through the city from the high court to the court of final appeal after the unprecedented decision Monday, which has shaken semi-autonomous Hong Kong’s faith in the rule of law. 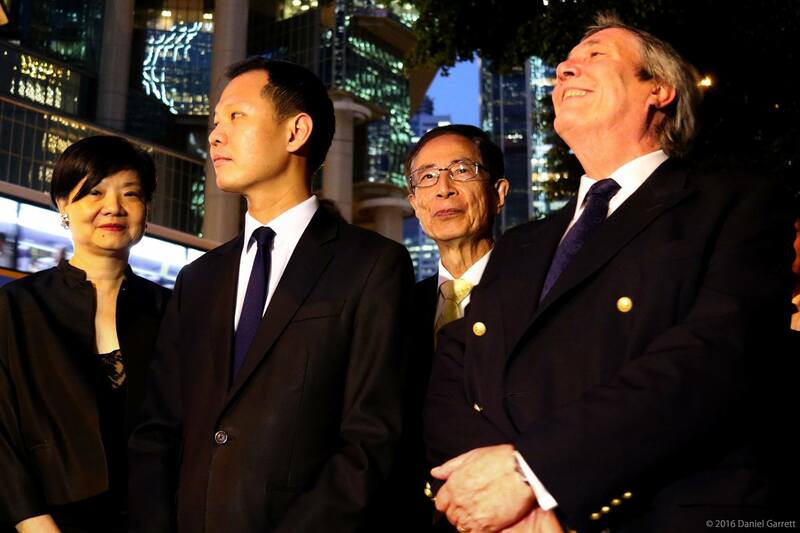 Beijing’s ruling preempted a decision by the Hong Kong courts over whether two young lawmakers should be disqualified from parliament after deliberately misreading their oaths of office, inserting expletives and draping themselves with “Hong Kong is not China” flags. 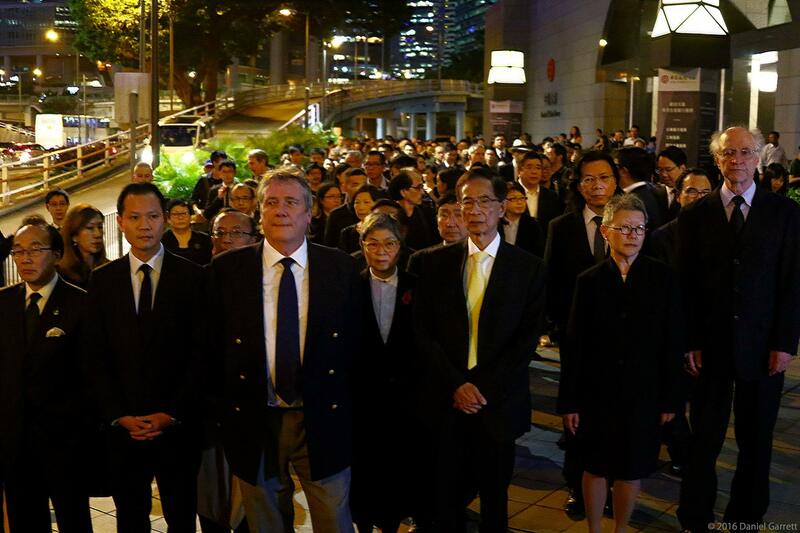 China‘s intervention has been slammed by the city’s pro-democracy camp and legal circles as unwarranted and a massive blow to Hong Kong’s cherished judicial independence. The city was handed back to China by Britain in 1997 under a “one country, two systems” deal which protects its freedoms for 50 years, but there are growing concerns those liberties are disappearing. Benny Tai. Photo: Catherine Lai. 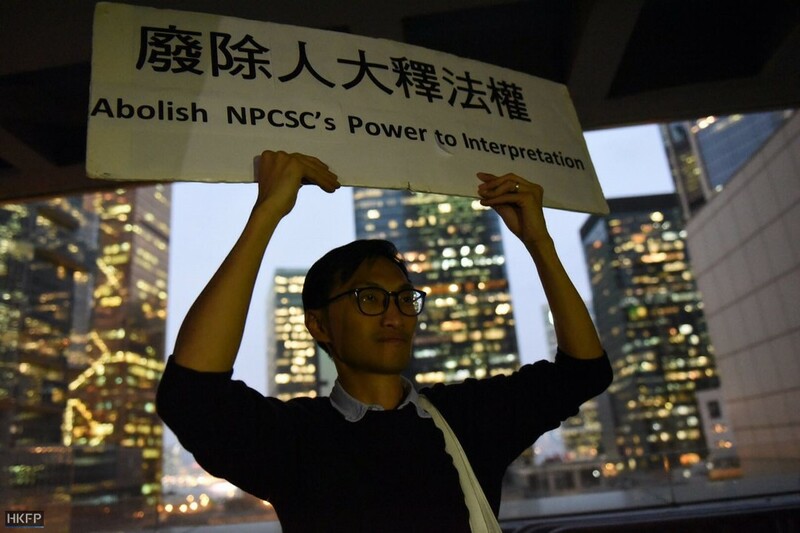 “It’s very damaging to ‘one country, two systems’ and rule of law,” said legislator Dennis Kwok, who represents the legal sector and led the march. 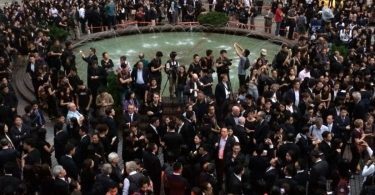 “I don’t accept this as part of the norm in Hong Kong,” said Kwok, who estimated more than 2,000 people had taken part in the march. The sombre mood of Tuesday’s march contrasted with protests Sunday, which saw pro-independence activists clash with police, who used pepper spray on the crowds. 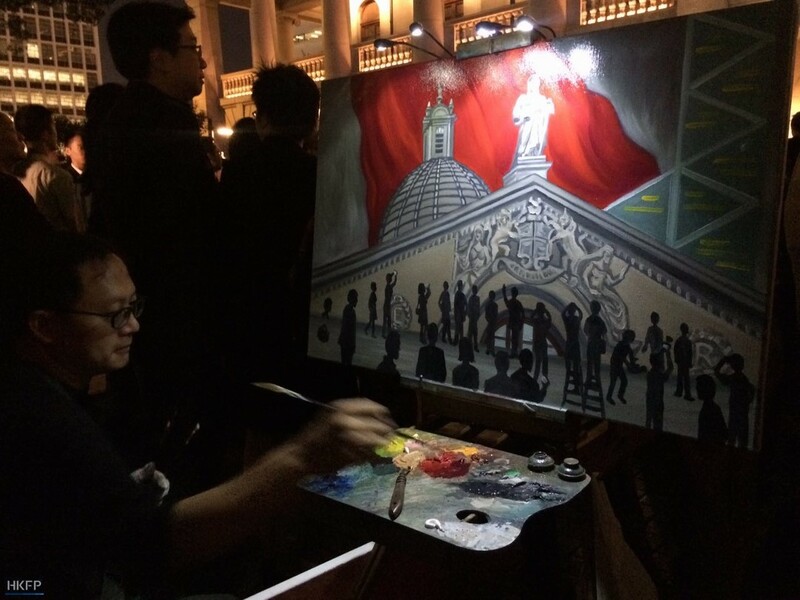 But lawyers and students voiced determination to express their opposition to Beijing’s ruling, even though it is clear that China will not compromise. 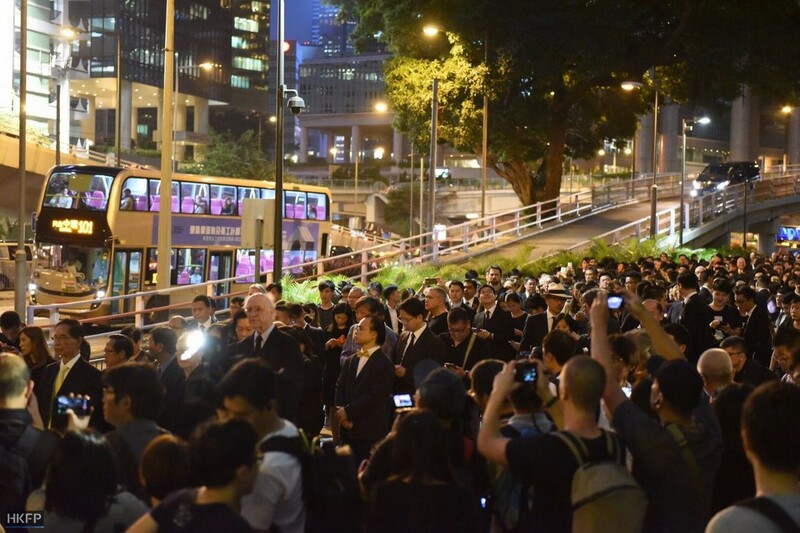 “I’m sure this kind of march will be of no actual use for the time being but if we don’t do anything even the hope will die,” said Benson Chan, 44, a criminal lawyer. 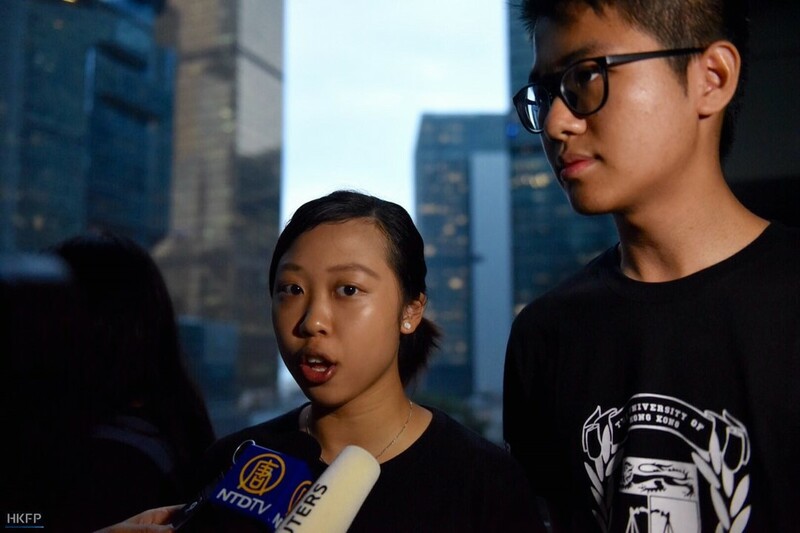 One student protester, Winnie Chan, said Beijing’s judgement had knocked the “core values” of the judicial system. Martin Lee. Photo: Catherine Lai. 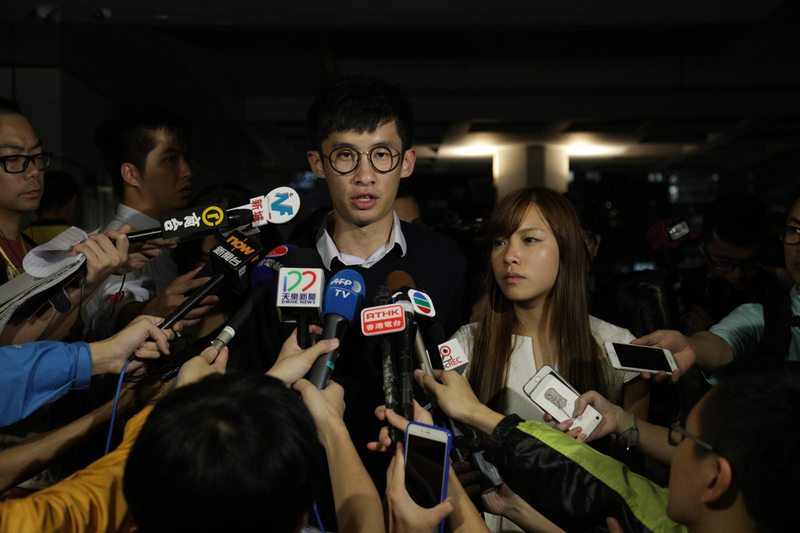 “The judge and court should not be subject to pressure,” said the 19-year-old, who is chairman of the law association of Hong Kong University’s student union. Winnie Chan. Photo: Catherine Lai. 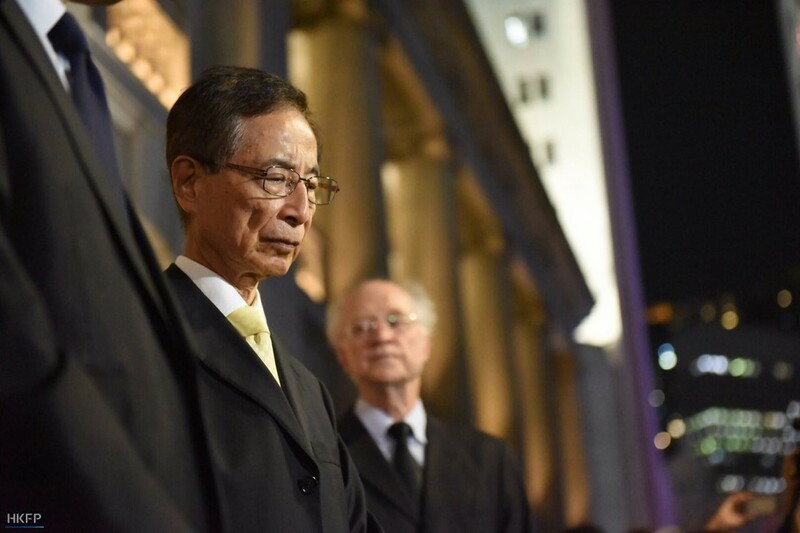 The Hong Kong government says the high court will still issue its own ruling on whether lawmakers Yau Wai-ching and Baggio Leung should be barred from taking up their seats. 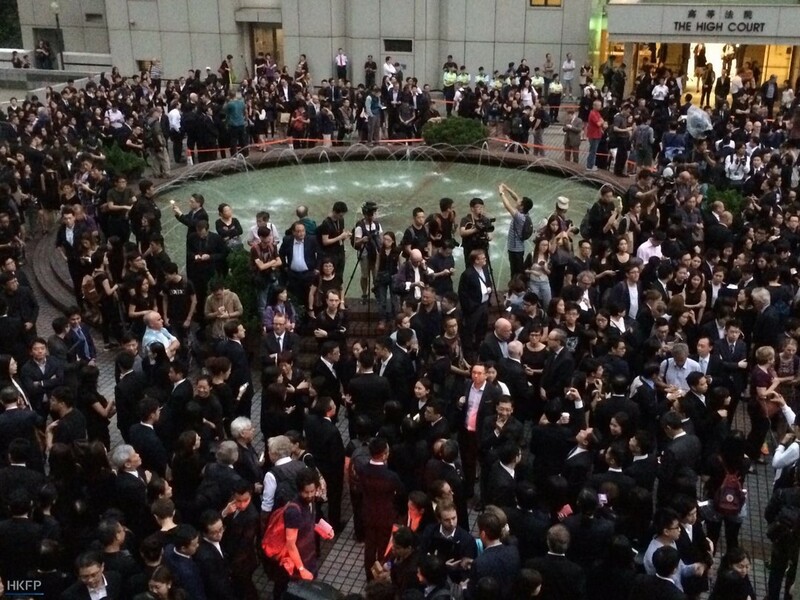 But city leader Leung Chun-ying has already said he will “fully implement” Beijing’s ruling. 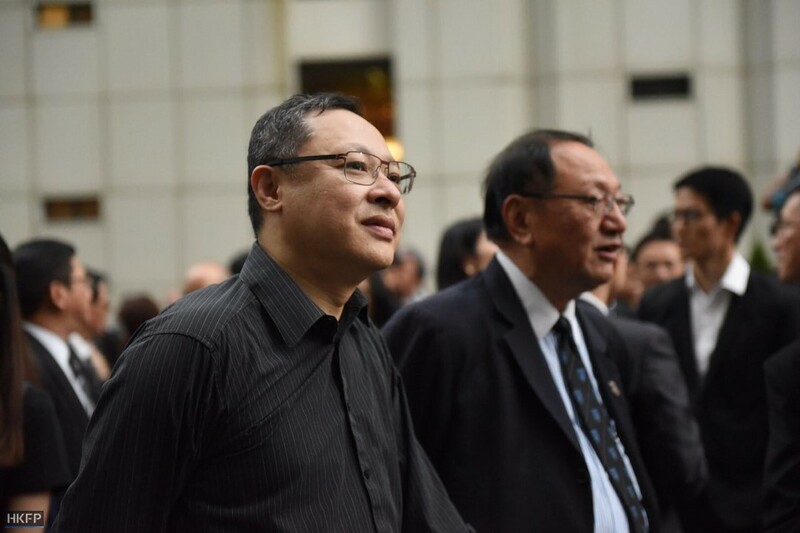 Yau and Leung were among a number of lawmakers advocating possible independence from Hong Kong who won seats for the first time in elections in September. Momentum behind the self-determination and pro-independence movement has grown as young campaigners become increasingly frustrated at their inability to push political reform, after massive pro-democracy protests in 2014 failed to win concessions from Beijing.